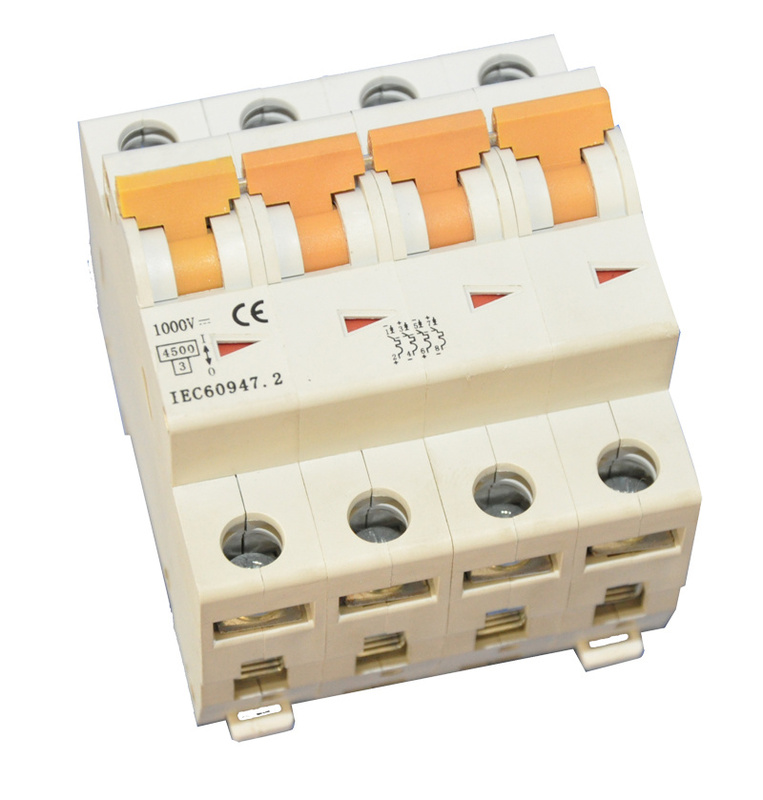 The SA-C63 is a DC circuit breaker dedicated to multi string photovoltaic installations. Combined with a switch , the SA-C63 will be installed in a string PV protection enclosure at the end of each string of photovoltaic modules. 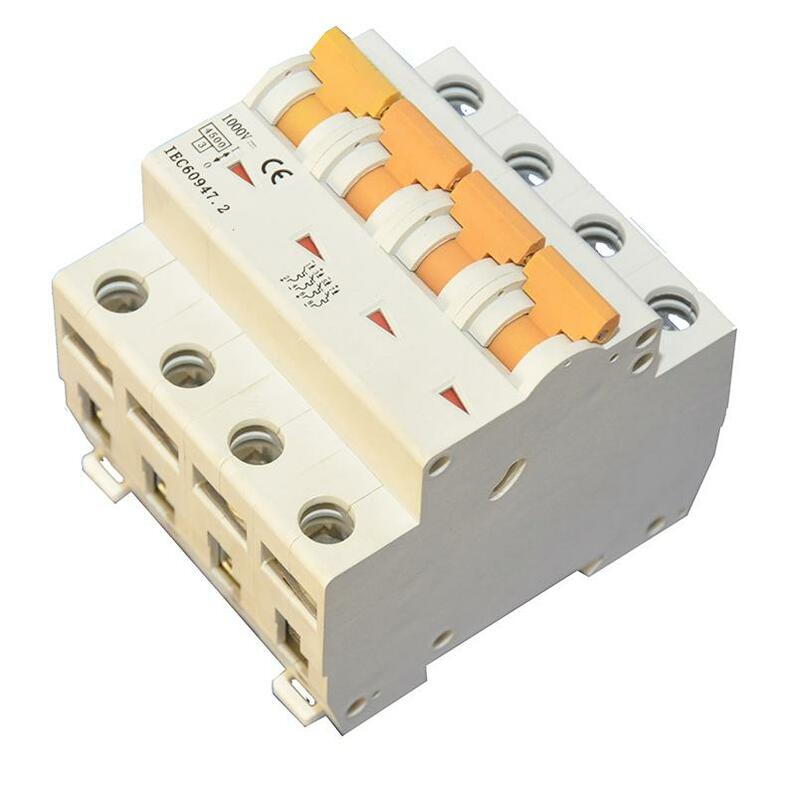 Since a fault current can flow in the reverse direction to the operating current, the SA-C63 can detect and protect against any bidirectional current. To ensure the safety of the installation, it is necessary, depending on the various types of application, to combine the SA-C63 with:a residual current device at the AC end a fault passage detector (insulation monitoring device) at the DC end an earth protection circuit breaker at the DC end In all cases, fast action on site will be required to clear the fault (protection not ensured in the event of a double fault). 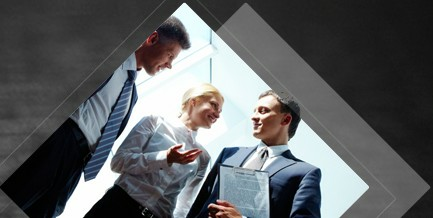 SA-C63 is not polarity sensitive: (+) and (-) wires can inversed without any risk. The SA-C63 is: delivered with three inter-pole barrier to provide increased isolation distance between two adjacent connectors. The presence of the green strip guarantees physical opening of the contacts and allows operations to be performed on the downstream circuit in complete safety. Increased product service life thanks to fast closing independent of the speed of actuation of the toggle. Pre-wired product: Input / Output on the same side .